Farrar, Straus and Giroux, 9780374170530, 320pp. 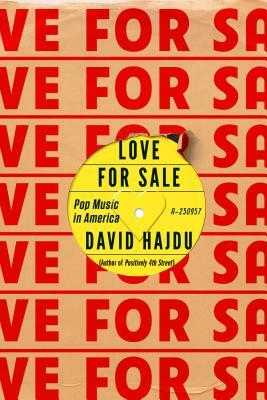 David Hajdu is the music critic for The Nation and a professor at the Columbia University Graduate School of Journalism. Before joining The Nation in January 2015, he served for more than ten years as the music critic for The New Republic. He is the author of three books of narrative nonfiction and and one collection of essays: Lush Life: A Biography of Billy Strayhorn (FSG, 1996), Positively 4th Street: The Lives and Times of Joan Baez, Bob Dylan, Mimi Baez Fariña and Richard Fariña (FSG, 2001), The Ten-Cent Plague: The Great Comic Book Scare and How It Changed America (FSG, 2008), and Heroes and Villains: Essays on Music, Movies, Comics, and Culture (2009). Lush Life, Positively 4th Street, and Heroes and Villians were all finalists for the National Book Critics Circle Award and won the ASCAP Deems Taylor Award. The Ten-Cent Plague was a finalist for the Eisner award, and the editors of Amazon named it the #1 Best Book of the Year on the arts. Hajdu is married to the singer and actor Karen Oberlin and is the father of three. He lives in Manhattan with his family.